Made of titanium and available in three different sets. All models include a short screw. 1. 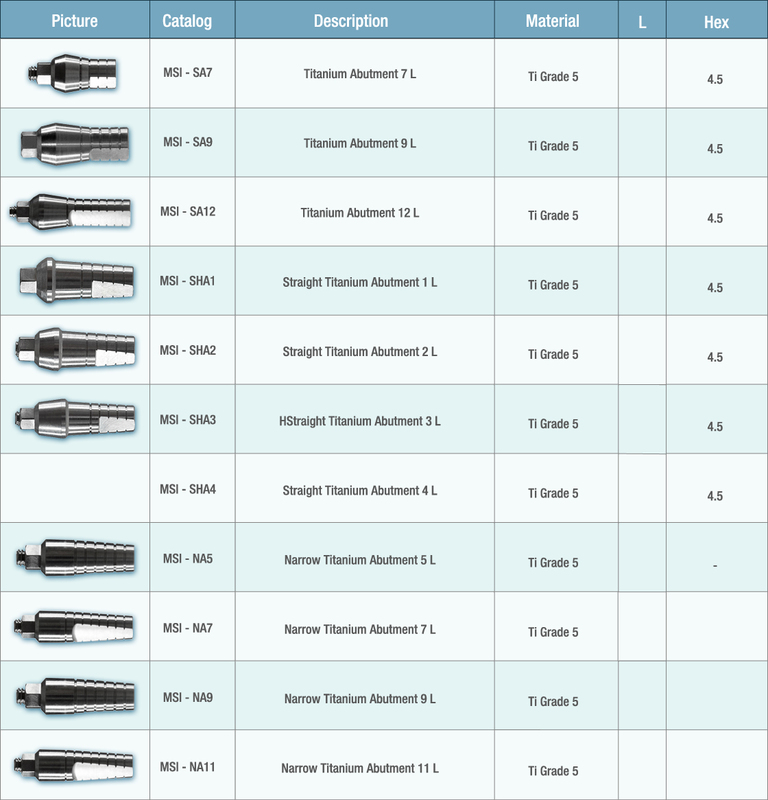 A straight titanium abutment with hex. The abutment comes in five heights. 2. 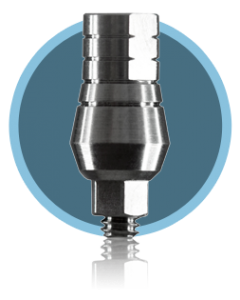 A straight titanium abutment with hex for immediate loading on temporary bridges or complete dentures. There are plastic sleeves connected to the abutment that can be used for temporary crowns and as transfers. 3. 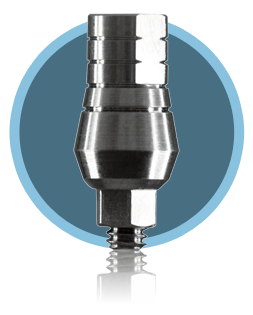 A straight Slim titanium abutment with hex. Available in five heights, to be used when space is limited.